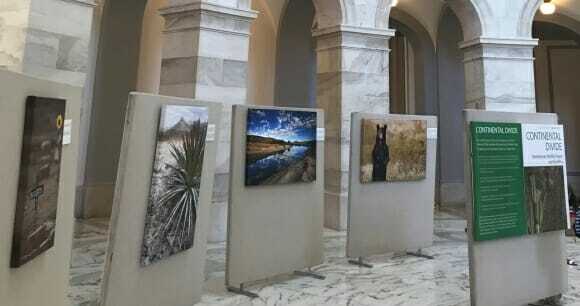 Washington, DC, June 14, 2018 —A new photo exhibit on Capitol Hill examines how a US-Mexico border wall could cause irreversible damage to human communities and wildlife. The exhibit, running through June 15 in the Russell Rotunda, features images by Krista Schlyer, an award-winning photographer and writer whose work focuses on conservation, biodiversity and public lands. In 2012, Schlyer published a book called “Continental Divide: Wildlife, People, and the Border Wall,” which depicts the visual beauty of the region along the US-Mexico borderlands. “The 2,000-mile US-Mexico border passes through stunning and biologically diverse landscapes and human communities. Together, the United States and Mexico have long labored to protect these landscapes and their wildlife. Construction of additional walls along the border would irreparably damage this rich natural legacy and forever split important wildlife corridors and borderland communities. Members of the media are invited to tour the exhibit with photographer Krista Schlyer. To schedule time with Krista, contact Rebecca Bullis (rbullis@defenders.orgor 202-772-0295). The border wall puts a binational conservation legacy at risk by destroying vegetation and harming wildlife in the construction and maintenance of the wall and related infrastructure, as well as by disrupting and altering wildlife behavior, as animals avoid border infrastructure, lights, noise, patrols and other enforcement-related disturbances. There are signs animals like the jaguar and Mexican gray wolf are making a comeback, but the construction of an impenetrable border wall would eliminate any possibility of recovery in the United States. Extending the border wall would fragment vital ecosystems and landscapes protected on either side of the border by the two countries, jeopardizing decades of binational conservation investment. Nearly 700 miles of the 1,953-mile US-Mexico border is already blocked by walls, fences and other barricades, impeding the movement of wildlife in search of food and mates and cutting off migration routes. The Animal Welfare Institute is a nonprofit charitable organization founded in 1951 and dedicated to reducing animal suffering caused by people. AWI engages policymakers, scientists, industry, and the public to achieve better treatment of animals everywhere—in the laboratory, on the farm, in commerce, at home and in the wild. For more information, visit www.awionline.org.